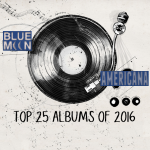 It’s that time of year again…our last show of the year and we look back at some of the very best Americana albums of 2016. Dave Stroud runs down the list…from bottom to top and even takes a little time to share the runners-up. This was a year of tribute albums (Dr. John, Emmylou, Charlie Rich, Jerry Garcia, and others) and some incredible blues and soul that made the list. Indies, outliers, Canadian songwriters, and breakout traditional revelries abound. Be sure to tune in for a look back at the music of the ‘year of darkness’…2016. 3 Dwight Yoakam I Wouldn't Put it Past Me Swimmin Pools Movie Stars.